I hate websites use CAPTCHA, but we know some websites use it to against internet robots. 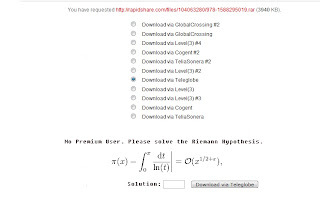 A popular online file host site Rapidshare use CAPTCHA. Do you know what is most difficult CAPTCHA? How can you answer it? Check out this picture below.